I've said before I opposed the invasion of Iraq from the get- go. I also oppose proposals to attack Iran and other Arab countries absent better reasons than I've heard so far. However, I'm not a fan of the muslim culture. You may have heard of this 16 minute film against Islam that a guy in the Netherlands produced. I'll go ahead and do my part for free speech if only because the muslims have been threatening pretty much anyone who has had anything to do with this film with death. Regardless of the contents of the film, the death threats alone sound like reason enough to me to post it here. Credit to the Nobody's Business blog for inspiring me to join this particular free speech movement. I encourage others to do the same. Assembly Bill 1956 (Calderon) would require state tax officials to begin imposing sales taxes on music, movies and software purchases made online, such as on iTunes. Democrats have also talked about taxing all items purchased on the Internet ($500 million tax increase). Assembly Bill 2829 (Davis) would impose a new plastic bag tax, at a still-unspecified level, on the plastic bags used by grocery stores and other retailers to package purchases. Senate Constitutional Amendment 18 (Torlakson) would make it easier for local politicians to raise taxes, by allowing educational finance districts to impose special taxes by a majority vote. Assembly Bill 2388 (Feuer) would raise the car tax based on the weight of the vehicle and the amount of carbon dioxide emissions it emits, to a still-unspecified level. Assembly Bill 2522 (Arambula) would authorize San Joaquin Valley air quality officials to impose a new $30 car tax on local drivers, without a vote of the people. Assembly Bill 2638 (Coto) would impose a new sales tax on the sale of cars in California that get less than 15 miles per gallon. Senate Bill 1731 (Yee) would authorize San Francisco Bay Area transportation officials to impose a higher car tax on local drivers, without a vote of the people. Democrats have also proposed restoring the higher car tax imposed by former Governor Gray Davis and repealed by Governor Schwarzenegger upon taking office, a $6 billion tax increase. Assembly Bill 9xxx (Nъсez) would impose a costly new “oil severance” tax on the cost of oil production in California. This will cause gas prices to soar new heights in California as this new tax will be passed along to consumers in the form of higher prices at the pump. Assembly Bill 2744 (Huffman) would authorize San Francisco Bay Area transportation officials to impose a new gas tax, of as much as 10 cents per gallon, to pay for new government spending. Assembly Bill 2558 (Feuer) would authorize Los Angeles transportation officials to impose one of two different taxes, subject to a majority vote, to address climate change – an increased gas tax as high as 3 percent, or an increased car tax as high as $80. Assembly Bill 2372 (Coto) would impose a new 1 percent tax on Californians earning more than $1 million per year, raising the state’s highest income tax rate to 11.3 percent. Assembly Bill 2897 (Hancock) would impose a new 10 percent tax rate for individuals earning more than $136,115 every year ($272,230 for joint filers) and a new 11 percent tax rate for individuals earning more than $272,230 per year ($544,460 for joint filers). Democrats and others have pushed closing “tax loopholes,” which is an effort to raise taxes on working Californians. These so-called loopholes include taking away the senior citizen tax credit (a $255 million tax increase) and reducing the child dependent tax credit ($2.4 billion) – which will hurt middle-class families. Democrats have proposed the largest tax increase on businesses in state history, an $8 billion jobs tax, to pay for government-run health care. In addition, Assembly Bill 2967 (Fuentes) would impose a new .06 percent tax on the gross operating costs of every California hospital, to pay for new government health care programs. Speaker Nъсez has talked about creating a new split-roll property tax on California businesses, which would be a $3 to $7 billion tax increase on businesses. This would lead to higher prices for consumers and the threat of job losses. Democrats have proposed eliminating the state home mortgage interest deduction, also known as the homeowner’s tax, which provides significant tax savings for working families and helps many Californians afford the expensive costs of home ownership. This would be a $5.3 billion tax hike. Without commenting on the list in its entirety, #3, and variations of it that I've heard going around is one that strikes me as bizarre. Taxing hospitals to pay for health care? Seems to me many hospitals are having trouble staying afloat as it is yet we have some people that want to tax them to pay for people's health care. I don't get it. Seems to be a disconnect with reality there. Which tax ideas do you favor or reject? Well, hard to say. Looks like it might have been an impersonator, according to the Ukiah Daily Journal. Someone who looked like Elton John was doing something in Ferndale earlier this month and some folks in Willits think he was in their town after he left Humboldt. You figure it out. It's good to see yet another column in a local paper slamming corn based ethanol. It seems to me I saw a column somewhere in the last couple weeks by a Republican congresscritter slamming ethanol, as well. Good stuff. What I'd like to know is what our predominant presidential candidates have to say about this. I'll admit to not paying much attention to Hillary, McCain or Obama, but have any of them addressed the issue? I believe I read that Hillary is pretty much in with the corn based ethanol bunch. I don't know about McCain or Obama, but it would be nice to have someone come out publicly in regards how damaging this ethanol thing is going to be to everyone in the long run. Sad thing is, it wouldn't surprise me if even McCain and Obama are all behind this ethanol thing and don't mind lining the pockets of Archer Daniels Midland, among others. Oh well. I'll likely be voting Libertarian, anyway. I'm surprised this is the first I've heard of health concerns over wireless networks. With all the health scares circulating about nearly everything else, I would have thought the radio waves from wifi networks would have come to the forefront in the discussion a bit earlier on. So, at least one California city has turned down a free wifi due to the health concerns of a few. Perhaps the City of Eureka could do the same? Only problem with that is- if it goes the route so many other things do nowadays- someone will start trying to shut down the expansion of private wifi networks for the same reasons. And, no, I'm not particularly worried about wifi radio waves affecting my health. Maybe sitting at this computer hour after hour should be a concern, but I'm not all that worried about radio waves. Nice of the Eureka Reporter to give some of our local grass fed cattle folks a plug. I'm wondering just how true their claims are. One of the guys making a comment on the Reporter's web page says corn and soy are not good food for cows but grass is. Never heard that before. I'll have to try some of that beef sometime. Too bad Winco doesn't carry it. Can anyone out there tell me what kind of price differences we're talking about in regards local grass fed vs. conventional beef? Just noticed the other day that Humboldt Grassfed Beef has a web site up. Looks like the Eureka Police Department will be among the first of the local law enforcement agencies to install video cameras to the dashboards of their patrol cars. This should be good for everyone's protection. The cameras do seem bit pricey, as one comment to the Times- Standard already mentions. Some will say government always pays too much for things. I suspect it might have more to do with the cameras being bought as an option with the cars, assuming that's part of the deal. I've been told that it's much more expensive to buy things as options when buying a new car than to just buy the car and add options, such as a stereo, later on. Don't know if that's the case here. Speaking of cameras, San Francisco has been taking a look at the success, or lack thereof, of their crime surveillance camera program. A UC Berkeley study shows the cameras haven't reduced crime at all, with the exception of perhaps some petty larcenies that have been reduced a little in the area right nearby the cameras. Nonetheless, San Francisco Mayor Gavin Newsom is still not to be deterred in expanding the camera program if only because it "makes people feel safer...". It might cost up to $200,000 for the additional cameras. That's probably money well spent in the minds of most San Franciscans. I was driving by Eureka High School a couple hours ago and there, sitting on J Street next to the EHS campus was the C-Span bus. It had C-Span written on the sides and back and, in large letters on the side, Politics 2008. Wonder what they're doing here? I'm against it, although I've said before even the minimum wage wasn't something I lose sleep over at night. Problem is, with minimum wages, inflation takes place and it doesn't seem like it's all that long before minimum wage earners are back to square one. So it will probably be with this proposal to establish a living wage for Eureka of $10.00 an hour. Certainly employers will be more leery of hiring additional help, just for starters. Some might be let go and you can't help but wonder if those making more than minimum wage now will be wanting more money since they could argue their pay wouldn't be worth as much anymore. Hard to say just what effects this would have since the living wage would supposedly be limited to Eureka. I see one guy in the T-S web site comments section saying he'd be moving his business to Fortuna if such a thing passes. I don't blame him and I wish him well. But would it pass? Apparently the guy sponsoring the initiative- some guy who's never held a job up here according to one of the T-S commentors- has more than one reason for filing this initiative: He wants to get more people to the polls. Maybe he thinks that by getting more people to the polls he'll be getting more people to vote for the Democratic presidential candidate, or, maybe he's just one of those people with the bizarre notion that the more people that end up voting, the better society will be? Regardless, he may be surprised. I'm sure he probably thinks everyone feels like he does on the issues. Most people hang with people that feel as they do on issues so they assume most other people feel the same way. He may end up with an unpleasant surprise if he's wrong. I've been curious about DNA evidence ever since it became possible to use it for identification in criminal trials. At first I pretty much accepted its validity but, over time, I started wondering just how accurate it was. I still wonder about the actual physical accuracy of DNA evidence, but I'd never really considered the human aspect of the issue much until reading this story in the Orange County Weekly. According to the story, prosecutors were trying to get the DNA lab people to change their testimony in regards a suspect's DNA sample. So, regardless of whatever lab results are, there's still the aspect of person- to- person relations and legal maneuverings that may, or may not, result in the conviction of an innocent person. Of course, the opposite is also true and more and more people are being exonerated for crimes they've been imprisoned for as time goes on. I'll take the OC Weekly story with a grain of salt, if only because I could see how someone could say one thing and the person they were saying to could take it an entirely different way, but it does show that DNA evidence has a subjective as well as objective aspect to it. Thanks to Radley Balko at his Agitator blog for the heads up on this case. If interested in his post on it, scroll a ways down from the beginning of the March 17 posts to Prosecutorial (and Judicial?) Misconduct In Orange County. Locally famous real estate mogul, Marc Matteoli, with his family and house, are featured in the latest version of Restore and Protect in today's Times- Standard. Restore and Protect being an occasional special feature the T-S publishes on local historical homes. As of now, you'll have to pick up a hard copy version of the story to read it as I can't find it online. Oh, and look for it carefully. I almost missed it as it was mixed in with the inserts. For those of you that don't already know, that house is across the street from mine. Update: the Times- Standard web guy, Jeff Soderberg, e-mailed me the url of the story. It includes one of those picture slide shows. The Santa- Rosa Press- Democrat reported yesterday that more and more people are finally realizing it doesn't make much sense to buy gas guzzling cars and they're having a much harder time getting rid of the ones they already own. When I first read the story it made me think this is kind of a mini- version of what's happened with home mortgages: The property they took the loan out for isn't worth enough to pay off the loan if they tried to sell it. There is a difference, though: Generally, real estate appreciates over time. Automobiles lose value the minute they're driven off the sales lot and usually continue to depreciate over the life of the vehicle so the vehicle owners in the story would likely still be taking a loss. Problem is, now they're having a tough time selling their cars at all. Anybody know of any supposedly haunted houses in Humboldt? It would be interesting to see if these guys, the North Coast Ghost Hunters, have a list of houses they think are haunted. When you think about it, that might make a good book, especially if the history of the house that led to the haunting was included. The first one was the old Scarpellino house on K street, in Eureka. Heading south, just past Hodgson, it was the third or fourth on the right. I think the number was like 3325, but I could be wrong. If anyone's interested, let me know. It wouldn't take much for me to go by and get the number. Supposedly, the upstairs was haunted there. A number of the Scarpellino's friends used to stay up on the top floor. I believe the upstairs was actually the bedroom of Barry Scarpellino himself. According to "legend", one of them woke up one night to see someone, or some apparition, looking down at one of the other guys while he was sleeping. I don't remember if the apparition disappeared, or what. Just telling you what I remember. I believe there were also stories of someone being seen in the upstairs window by people on the street, except no one was upstairs at the time. I know, not much to go on. I never saw anything weird up there myself. But I did go up there at least a couple times back in those days and got a weird feeling from that room. Don't know if I was just creeped out by the stories or maybe something really was present there. The second one is the house I live in now. I don't know that we've felt any presence in some time, but the first few years after we moved in we did. I'd sometimes be in the house and feel like someone was in the room with me. Sometimes I'd feel a fairly strong presence and maybe even think I saw an image of something out of the corner of my eye. I finally mentioned it to the wifey and she said she'd also felt a presence on occasion. In fact, she told me one time, while she was upstairs, she felt someone was in the room and felt something tugging at the back of her shirt. NOW THAT'S CREEPY! Seems to me, though, I haven't sensed anything in the house for at least ten years. The wife hasn't mentioned anything along that line for some time, either. Maybe we were just creeped out, being relative newcomers to this house, or maybe whatever it was finally left. I don't know. Sure, I hear strange noises every now and then, but those are nearly always rats, or some other critter, but I don't know that we can attribute those early feelings of a presence to just rats. After all, if rats were tugging on the back of your shirt, wouldn't you know the rats were the ones doing it? Anyone else know of any possible haunted houses? I Want My Piss Back! You don't hear about things like this happening too often. What they don't say is what the gal was eventually charged with. I know I worked as Christmas help one year at United Parcel Service in the late '80s. We were read the riot act during our training in regards fooling around with any of the parcels. Seems to me it was a violation of interstate commerce- subject to investigation by the FBI- supposedly a big deal, just like trying to steal U.S. Mail. As an aside, I wonder how much these urine tests costs now? We used to have to take urine samples from kids when I worked at Juvenile Hall. One kid I was responsible for, I'd often have him tested for three or more drugs each time- each test being charged separately- until I asked the boss how much the urine tests cost. $50 per individual test, I was told. A fair amount of money at the time, especially considering there were a lot of tests being done on any number of kids and adults at a given time. After I knew the cost, I just stuck to one test. Here's a video I found of her. She's so SWEET! She's talking about potatoes here. I found an interesting newspaper while I was at St. Joseph's Hospital earlier this morning. A big stack of Bigfoot Valley News was sitting on a table in the lobby. I thought I might have heard the name somewhere earlier on. When I checked their web site, I realized this might be the paper that used to circulate in the Willow Creek area and recently closed its doors. I think it might have been mentioned on one of the other blogs (299Opine?). The web site's a bit strange as the last update seems to have been around September 2007. The issue I found at St. Joes says March 2008. Perhaps the paper's been reincarnated in a slightly different form than its former self? The paper lists its publishing address as a P.O. Box out in Cutten. A couple of the stories hit close to home, too. There was a short article on the Amigas Burritos out on Walnut Drive in Cutten and another one about the business next door to Amigas, Janet Holmes' State Farm Insurance. I go to Amigas quite often and I've carried all our insurance with Janet Holmes for years. Seemed like the stories were more like advertisements and I couldn't help but think they were paid by those businesses to write them. Nothing wrong with that, though, in my mind. I found the writing entertaining enough. I'll have to keep my eye out for more of the hard copies as it doesn't appear they're updating the web page very often. Update: Ok. At least one of you did. Here's the link to the story. 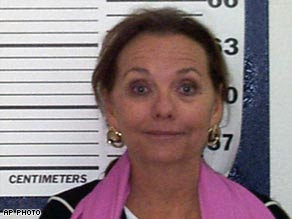 Everyone together now: FREE MARY ANN! I'd never thought all that much about how this water fluoridation proposal would be paid for. Now, the Times- Standard tells us that, while the Humboldt Bay Municipal Water District can fluoridate a community's water against the community's will, they can't charge unwilling customers for the fluoridation. By unwilling customers I would think they're referring to communities like Manila that recently voted against fluoridation of their water, not individual households. So think about it: Even if you want your water fluoridated, you should vote NO, assuming you get the opportunity to vote on the issue. That way, if the NO vote wins in your community, the ratepayers in the communities that voted Yes have to pay for it, you don't. Who says there's no such thing as a free lunch? Of course, if you're against water fluoridation, I guess you wouldn't be happy with what's being served. I guess it must have just been me. Am I the only one who had their internet service go down yesterday? Mine was down from around 2pm until at least the time I went to bed around 8:30. From the looks of it, I figured the main fiber optic cable got severed again. I was online one minute, then I rebooted the computer to play Aces High. After the reboot I couldn't connect again. At first I thought maybe it was the computer, but I even hooked up the phone line and tried the dial- up number. It didn't work either. That's pretty much the way it worked when the main fiber cable was severed last time so I figured it might have happened again. Seems to me I've seen construction crews still working on the side of the road, near Weott, where they severed the line before. I expected to hear about the outage from some of the blogs this morning, but not a word, not even in the newspaper. I guess it was just me. How depressing. For some reason yesterday's outage really showed me how much I depend on my computer, or more accurately, the internet. It wasn't so much Sunday that got to me, but this morning. I woke up this morning and realized there really wasn't much I could do in the dark, since the internet might still be down. I went to the bathroom and looked at the DSL modem while passing by. Only three green lights showing so I guess it's still down. What am I going to do? I figured I'd have to at least wait for sunrise to get up as most everything I do in the morning, with the exception of breakfast is internet related. Well, it was kind of nice to just lay in bed, but I need the weather forecast, among other things. How will I get that without my internet up and running? Finally, about 6:30ish I got up to go to the bathroom again. Still just three lights on the modem. For some reason I thought there was supposed to be four lights if the connection was up and running. I decided I should try going online, anyway, and turned the computer on. Within a couple minutes I was online again. I guess I was wrong about the three green lights. The four (actually five) green lights on the DSL modem show when the computer is on. The three lights are on all the time. Glad to finally get that straight. I hesitate to bring this up here, but I will anyway. After all, I can't figure out just how this site works, and I registered with them. Ratemycop.com is supposedly an index of police agencies and officers nationwide that rates individual officers on three things: Authority, fairness and satisfaction. Not sure just what any of those, other than fairness consists of, but that's what they're rated on. What I can't figure out is how they get the names and how ratings are submitted. Even after registering with them, I can't find any links for input. Maybe site owners are the ones that add the names and the ratings? I don't know. They do have most of our local police departments, though. They even include Blue Lake. But, if you click on the Blue Lake P.D. link, you just get a message that there are no officers listed for Blue Lake. The potential for abuse is high with this site. I can just imagine what could happen if the anti- cop brigades from say, Heraldo's blog, were able to have input. But, since I can't see any way to submit names or grades, there's probably no real threat there. If anyone can figure out how this site works, please let me know. Thanks to Radley Balko, over at The Agitator blog, for the heads up on this site. The Orange County Register's, Steve Greenhut, comments on the recent Court of Appeals ruling that might effectively prohibit home schooling in California. That decision has raised eyebrows, if not outrage, even among some Lefties. I agree with Greenhut that this is a serious threat towards liberty and it needs to be overturned, either by a higher court, or the state legislature. I won't hold out hope for the legislature to act, though. Sure, the Governator is saying the legislature will act to protect parents rights, but the Democrats control the state legislature. Democrats are pretty much joined at the hip with the various teachers unions, most of whom are hostile towards home schooling. We shouldn't look for salvation there. I hope I'm wrong, but it looks like we'll have to hope for some higher court to overturn this ruling. Looks like Mendocino County got record snowfall this winter. This is good news for those of us following Mendocino's water woes. As long as the weather stays on the cool side, they should have plenty of water this year. The only potential problem I see is if they get an early warming spell coupled with lots of rain. That's what floods are made of. I wonder how the rest of the state fared? This week's North Coast Journal (I know, but it will always be the North Coast Journal to me) has a fun read on the 101/ Richardson Grove realignment. Looks like more mindless, lynch mob mentality showing itself in the comments section of the Times- Standard regarding this 25 year old guy recently arrested for fooling around with kids. Pretty scary stuff to me, especially when the persecutors get all riled up when you suggest they calm down and at least wait until the trial is over before they pronounce the guy guilty. Haven't had that happen with this latest version of the story, but got some snide comments when it first came out. 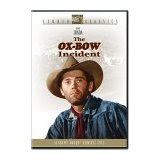 I see Amazon.com is offering The Ox- Bow Incident on DVD for $7.49. Might be a good idea for some of the cooler heads out there to buy the movie and show it to some of the hotter ones. Even if that doesn't fly, it might be a good video to show your kids and their friends. I don't know that they show stuff like that in school anymore. Had to go to the Bay Area again on Monday. This time we had a 4:00 appointment on Monday at UCSF which meant we could leave Monday morning and have enough time to drive down and make the appointment, rather than leave the day before as we usually do. The getting up and not being able to lounge around for hours in the morning- my usual practice- really rubs me the wrong way. I'd done most of my preparation the day before, though, so it wasn't too big a deal. Still, I didn't get to play my morning session of Aces High so that threw me off the whole day. We left town about 8:15am and I was surprised at the lack of traffic we ran into, the exception being what must have been the first time I noticed the long line of cars heading north. They were obviously commuting to Eureka for work. For some reason I'd never noticed that before. Probably because we usually drive down on Sundays. I read some letter to the editor a while back by some lady upset about the "budget cuts". She'd made reference in her letter to the Caltrans rest stops in Trinidad, saying they were closed and suggesting this was the result of the budget cuts, if memory served me right. I wondered if the rest stops between Laytonville and Willits might be closed, as well. Checked the Caltrans web site and found they were open. No mention of budget cut closures, at all. In fact, there was a note that some rest stops, like the ones in Trinidad, would be opened in April as they usually are. Well, at least ours was open. That's all that mattered to me since we use them all the time. When we made the Moss Cove stop, I noticed the Ron Paul stickers that someone had rudely stuck up on the phone booth and men's rest room sign had been removed. We noticed, as we were leaving The City Tuesday, the Ron Paul signs adorning all the traffic signs that someone had rudely put up had also been removed. GO, Ron Paul, but you guys that are putting those signs where they shouldn't be: DON'T DO THAT! The UCSF Medical Center now allows patients to access their wifi network. I didn't get a chance to try it out, though. I'd noticed last time we were down there that I could connect to a UCSF login page, but I didn't have a username or password and couldn't find the guy that could tell me where to get one. I ran into him right away this time, but didn't have my laptop with me. I suppose I could have ran back to the truck and gotten it, but didn't feel like running down to the parking garage. The guy told me there was a web site where I could go and get a username and password. When I got home I did a search for UCSF Wifi and found it right away. Simple enough, as everyone gets the same password. I'll try it out next time we go down there. When we left the Cathedral Hill Hotel Tuesday morning, Connie suggested we try taking Geary Blvd. to Park Presidio, or whatever that street is called. I didn't want to do it without checking the map as oftentimes streets down there will dead end and start again some ways away. I had Connie check the map but I told her we'll try a different route next time, when we know what we're doing. Neither of us like Van Ness Avenue- too crowded- but we only use Van Ness when we're going straight to the hotel from Eureka. Leaving, we go down Franklin to Lombard and then to the Golden Gate Bridge. I don't have a problem with that, but it would be nice to avoid Van Ness when going straight to the hotel. When I got home I checked the map and figured a couple different ways. One would be, when entering San Francisco, to take Lombard for just a few blocks and then take a right on Divisiadero drive south to Post and then go left until we got to the hotel on Van Ness. No Van Ness to really deal with that way and it looks like Divisiadero and Post go straight through without interruption. Another possibility is to take turn left off Park Presidio, instead of using Lombard, and take Geary all the way to nearly the Cathedral Hill Hotel. Actually, I'm not sure if you can turn left from Park Presidio to Geary. Park Presidio and 19th Avenue only allow left turns a couple times on their entire length, but you can turn right just before the street you want to go left on, make a couple turns and get yourself heading the right way. We'll try one, or both, of those ways next time. The main thing is to avoid Van Ness. Getting back into Humboldt County we finally tried the sandwiches at the One Log House place at the south end of Richardson Grove. We'd stopped there once before but just bought a couple drinks. They have a deal where you get a sandwich, chips and beverage for $5.99, but we just ordered a couple sandwiches. They were quite good and I was surprised how quickly they had them ready. For the two sandwiches and a latte for Connie, it came to around $12.00, I believe. Fair enough for me. They also seem to have a higher end clientele than the gas station on the other side of 101 that we usually stop at. Seemed like more the tourist/ traveler types as opposed to the locals the gas station seems to mostly cater to. We'll be stopping there again. I almost forgot: While we were at UCSF waiting for an appointment, there wasn't much to read. The wife suggested I go down to the street and see if there were any free newspapers as there often are. A little late in the day to expect anything to be left but I found a paper I'd never seen offered there before: The Onion! I didn't even know they published a hard copy of that one and it was free. The bin was full of them. Must not be many fans of that paper in San Francisco. I'll have to admit, though, except for one or two articles, I didn't find much of what was in that paper very funny. I don't know if you can do it with Blogspot but some blog sites allow you to use a domain name for your blog. So, I could buy fredshumboldtblog.com and have that lead to my blog somewhere. Actually, maybe I could use it with Blogspot. Whatever. Looks like the guy who does the Right On! Blog wasn't paying attention. He bought rightonblog.net and had it direct people to his blog on one of the other blog sites. Somebody apparently snagged his domain out from under him and has it going to one of those advertising sites. Now he'll have to pay the big bucks to get his domain back or just use the blog site location for his blog. Biggest problem as I see it for him: How would you get your normal blog visitors back and direct them to a new url? Bummer. I don't know that I'll ever understand this push for government to provide broadband services. And it's not just Eric Kirk or this guy that we keep hearing about it from. There's any number of people that think, for some reason, that if government gets into the broadband business it will be cheaper and more available. Sure, we may need a redundant fiber optic line up here but, for the most part, I think the system works fine as it is. At least we have choices of providers and such the way it is now. If the government gets any more involved, we likely won't. If it works, don't try and fix it.